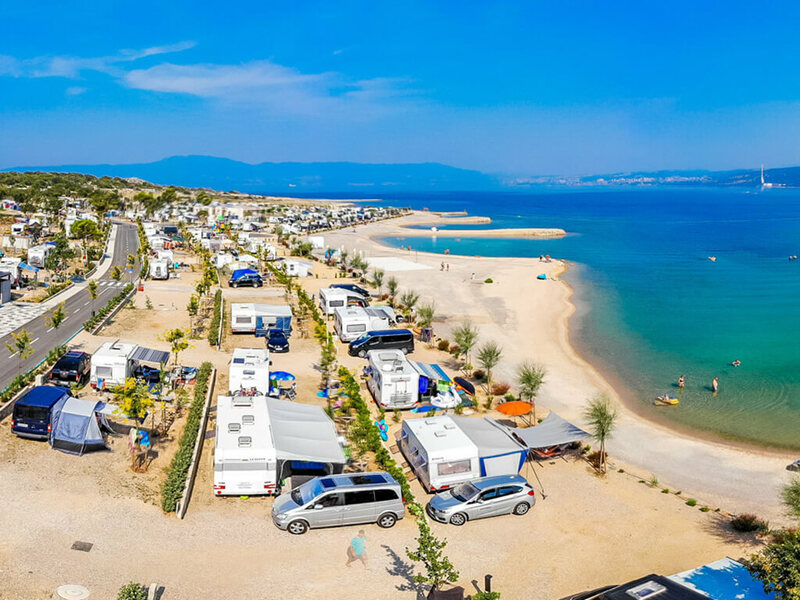 Crowned with a sandy and pebble beach and crystal clear blue sea of the magic ambience of the island of Krk, Campsite Omišalj is an ideal destination for all those who are pining for a luxurious holiday in magical natural surroundings. 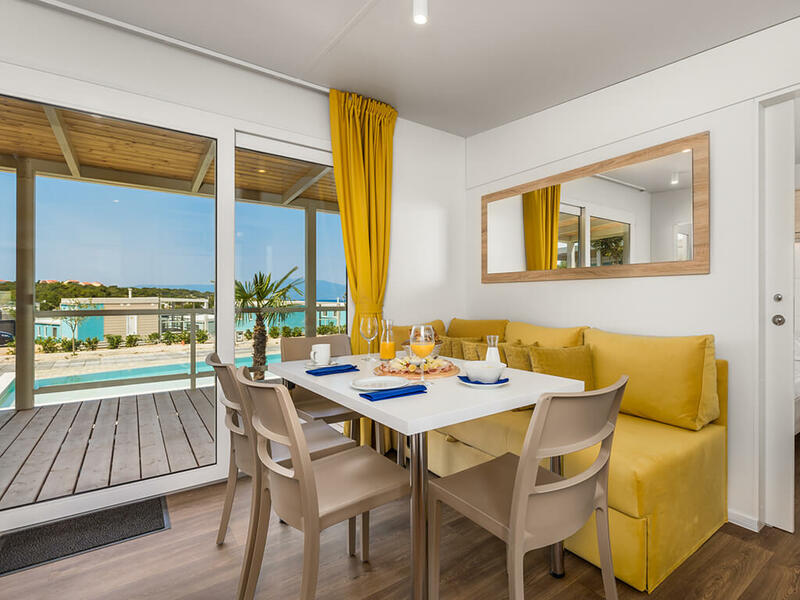 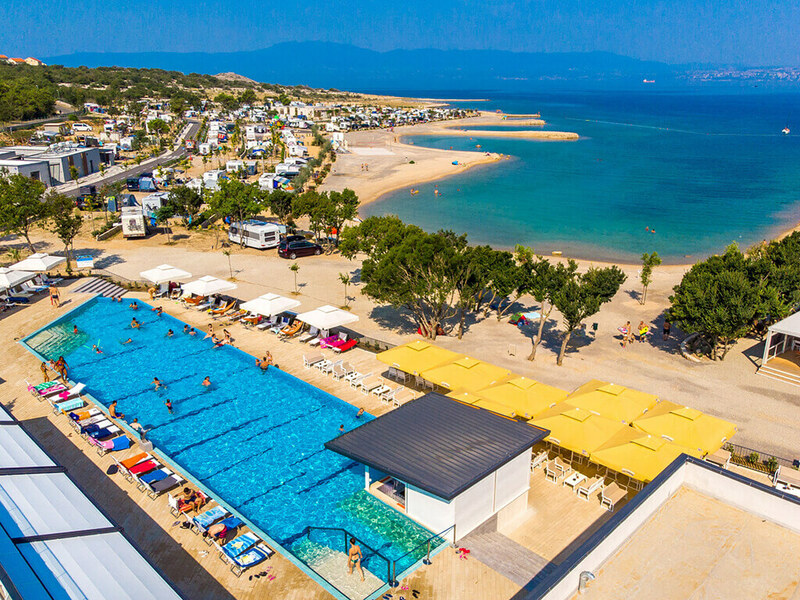 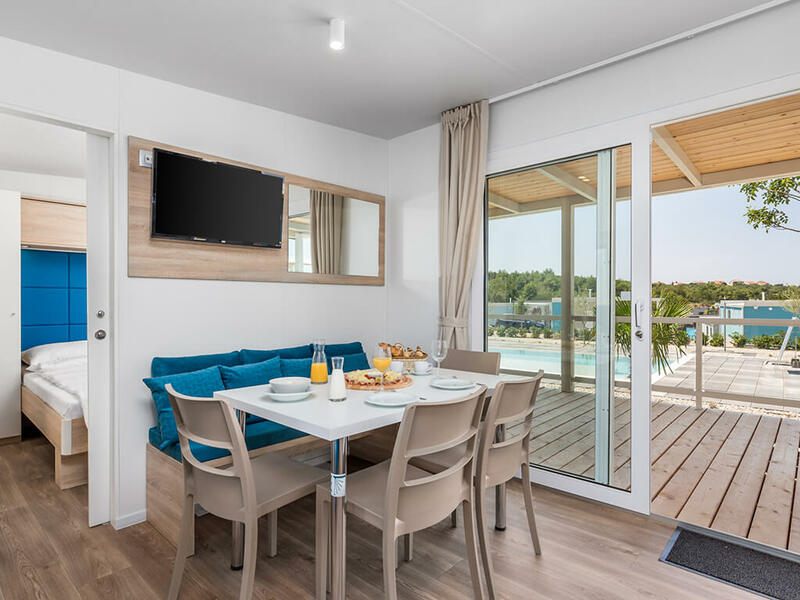 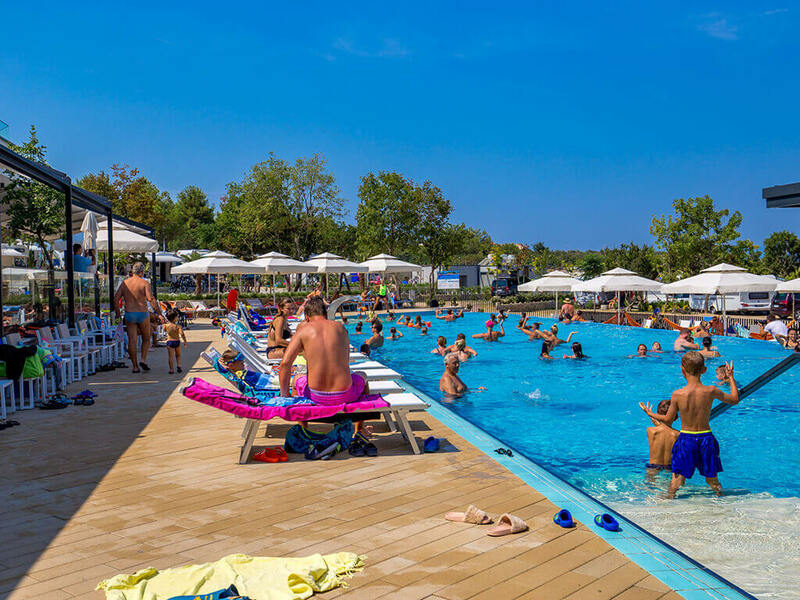 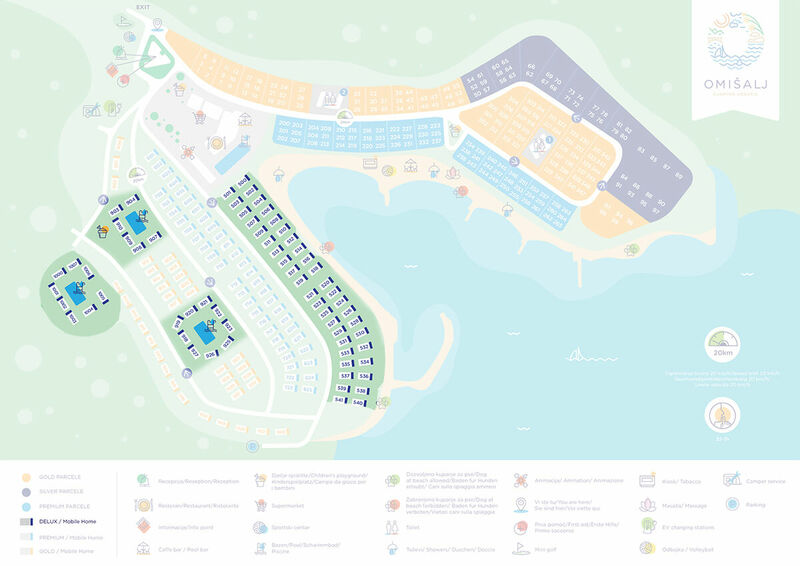 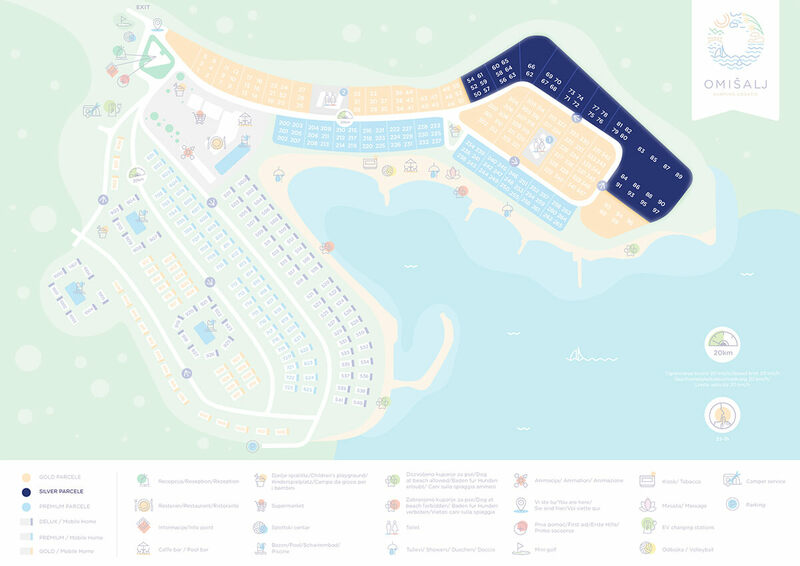 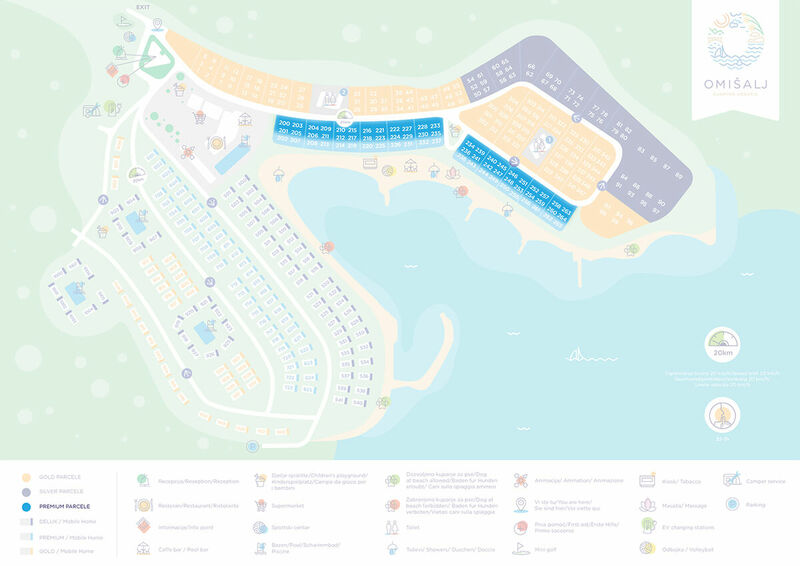 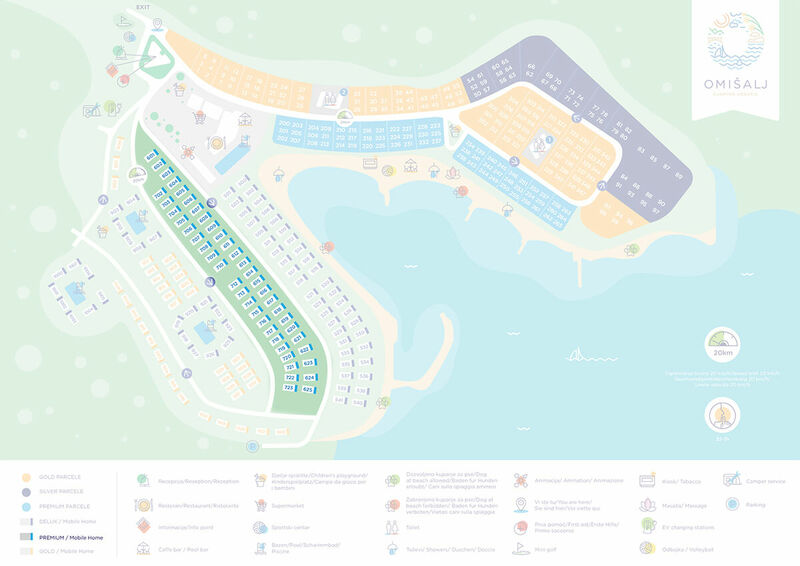 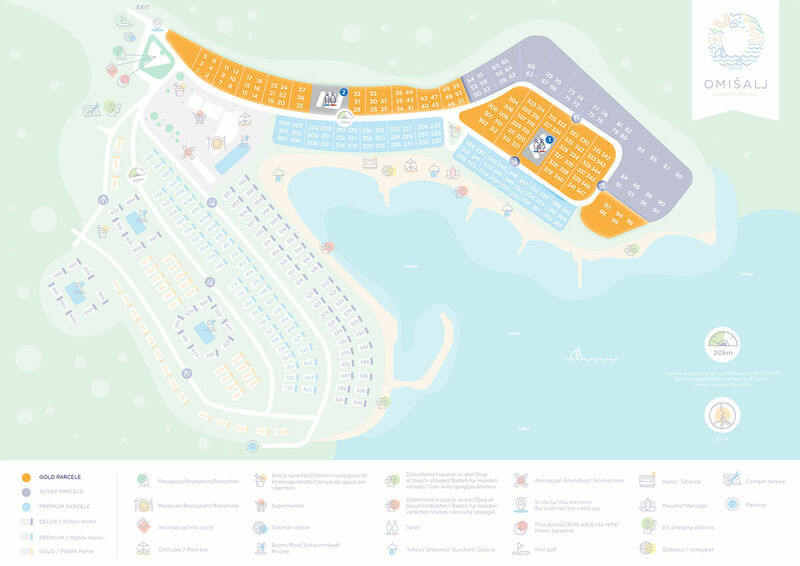 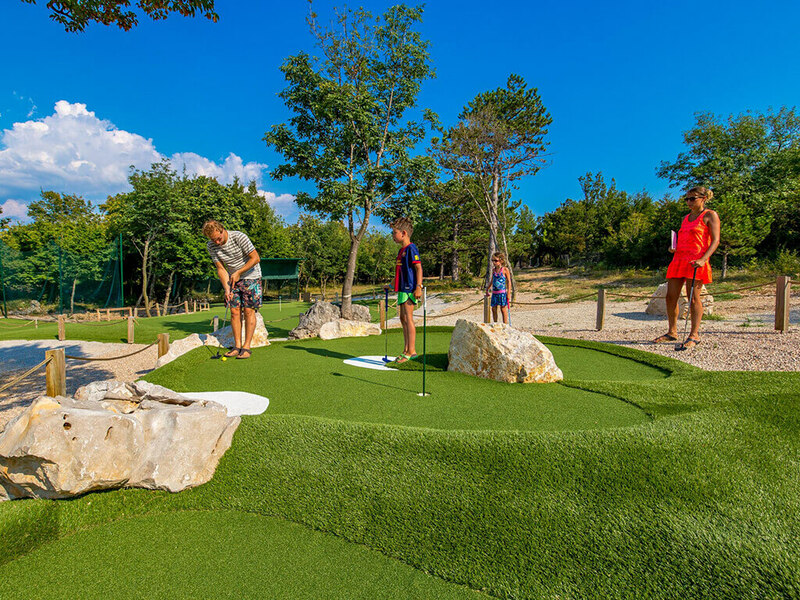 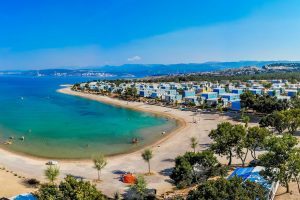 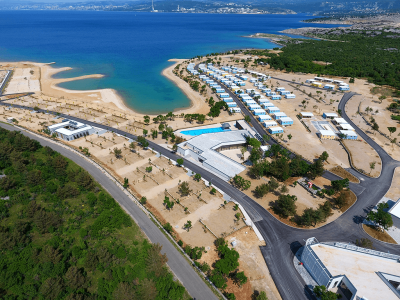 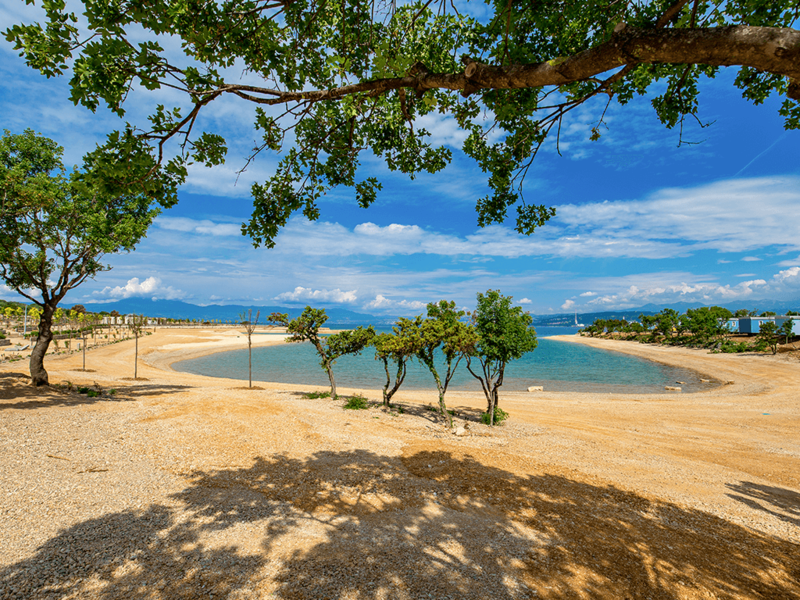 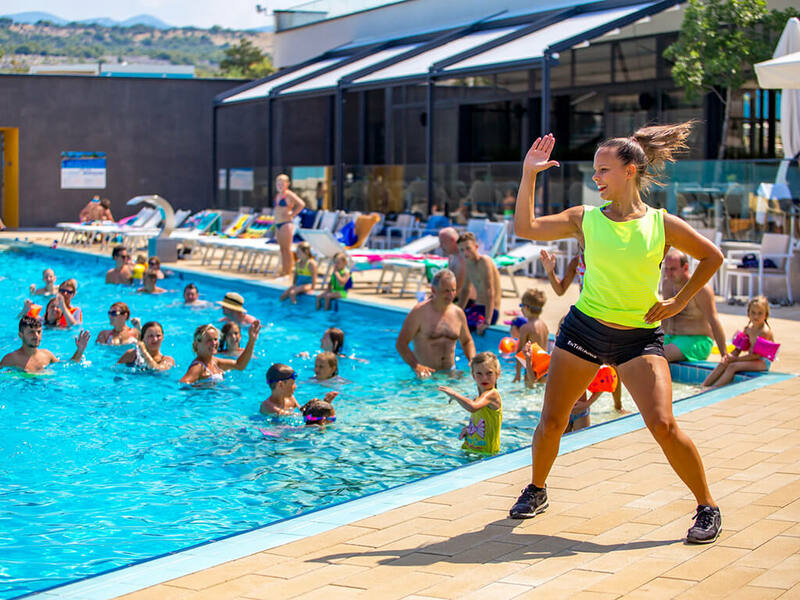 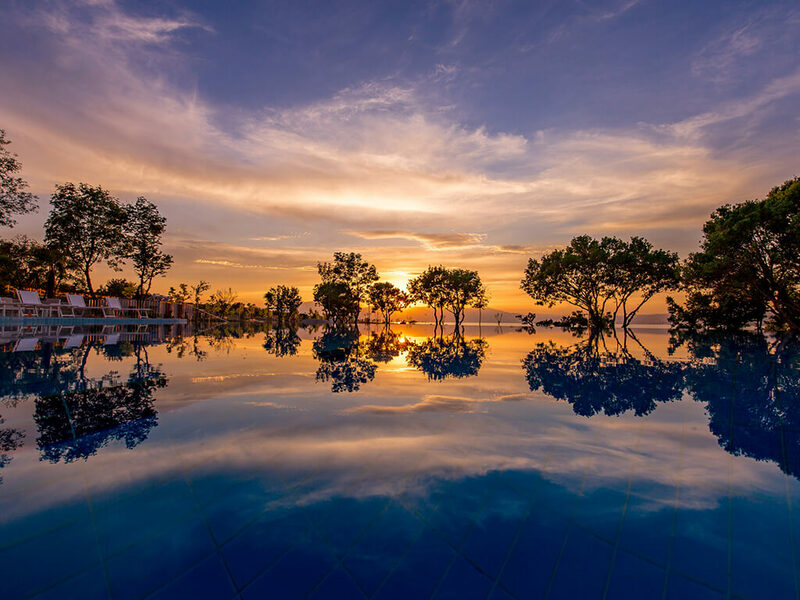 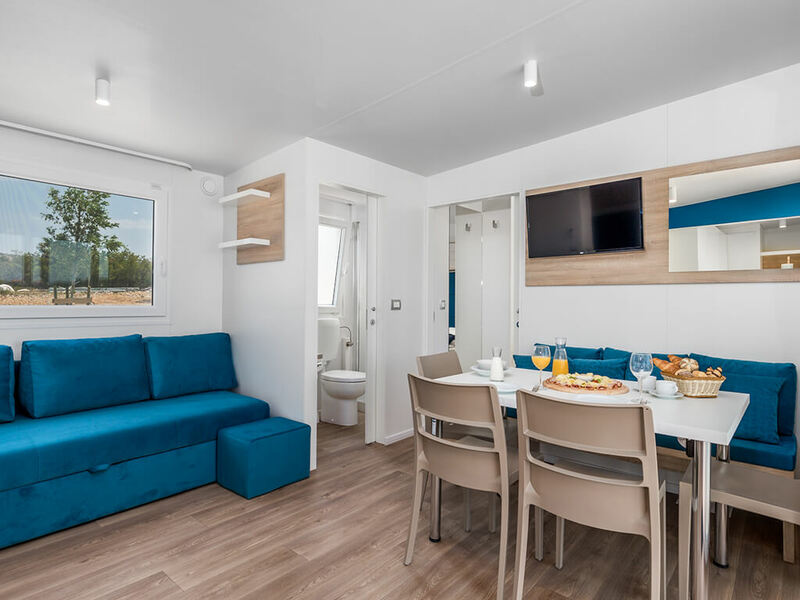 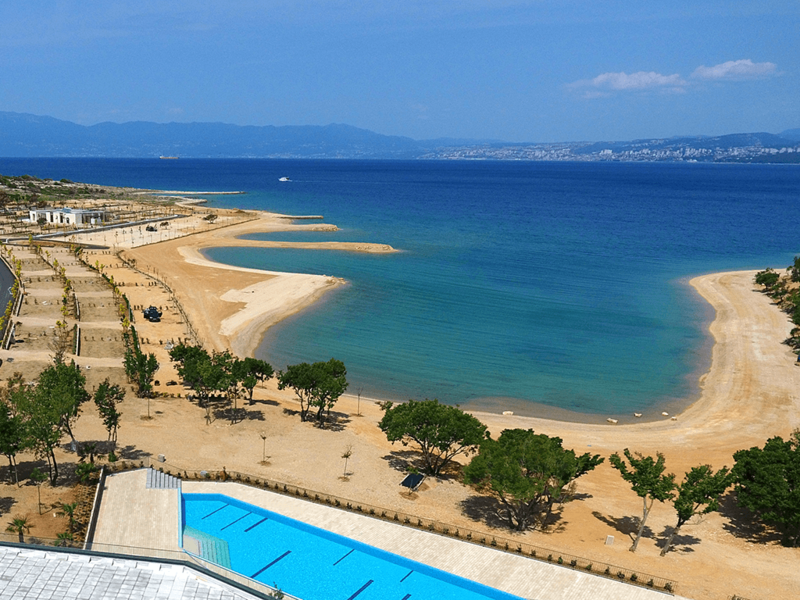 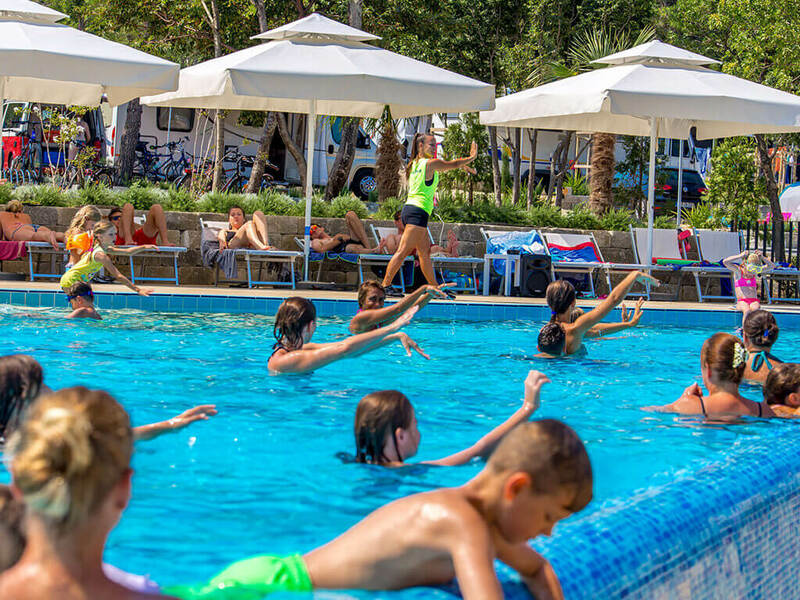 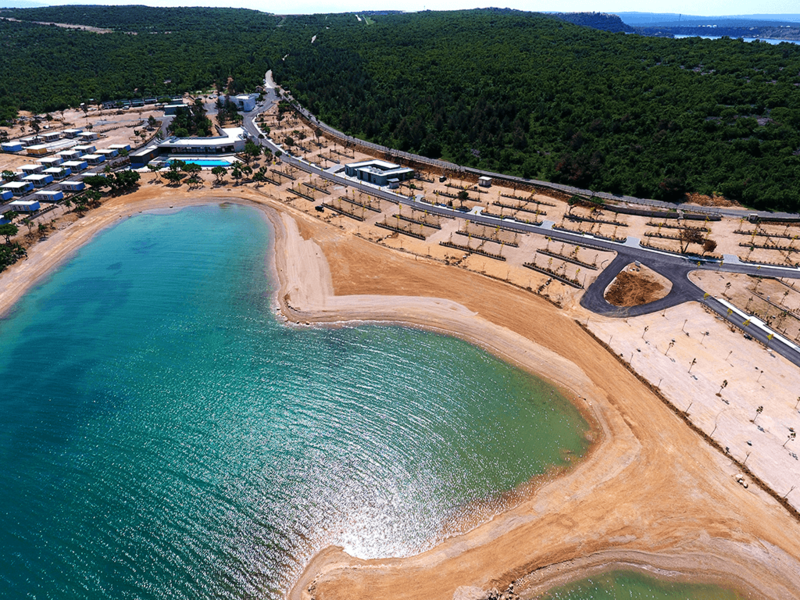 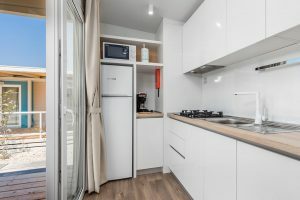 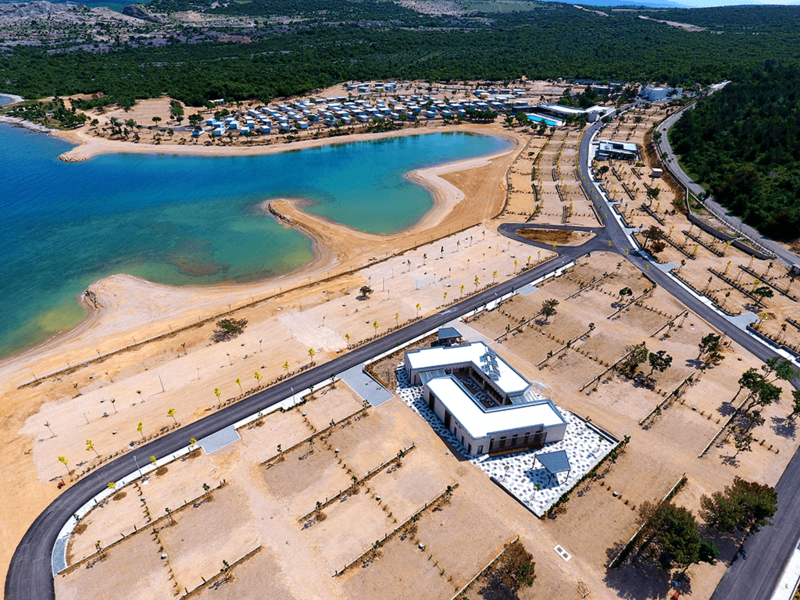 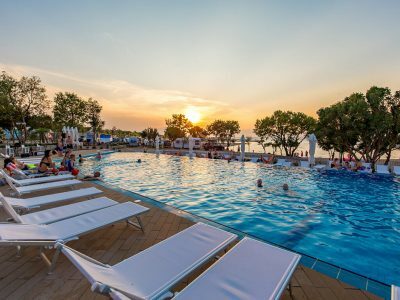 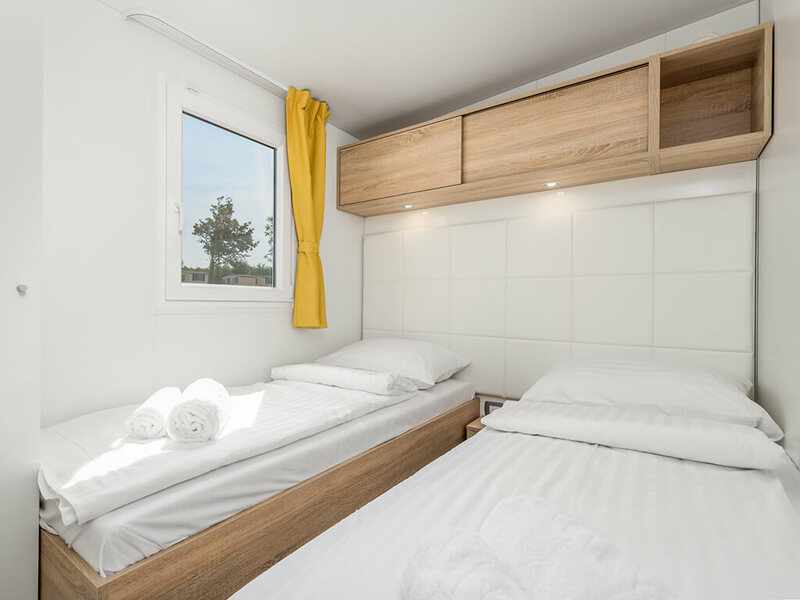 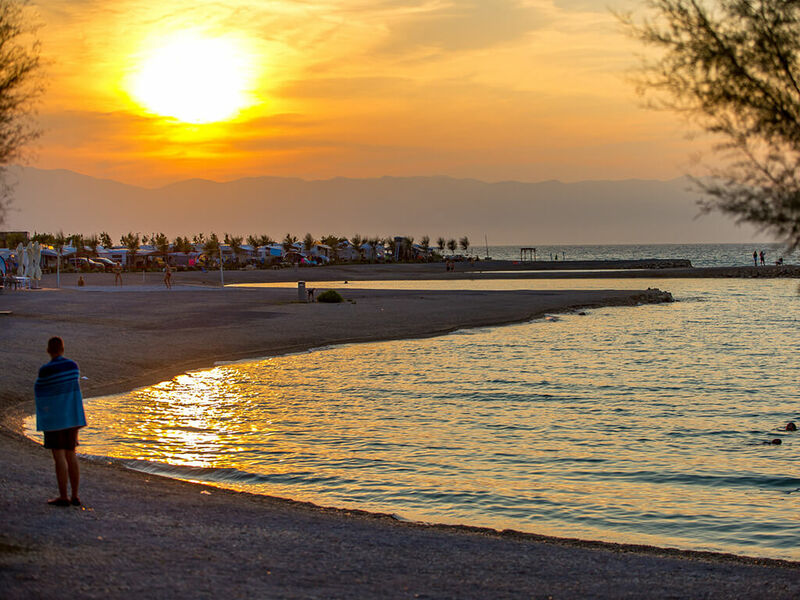 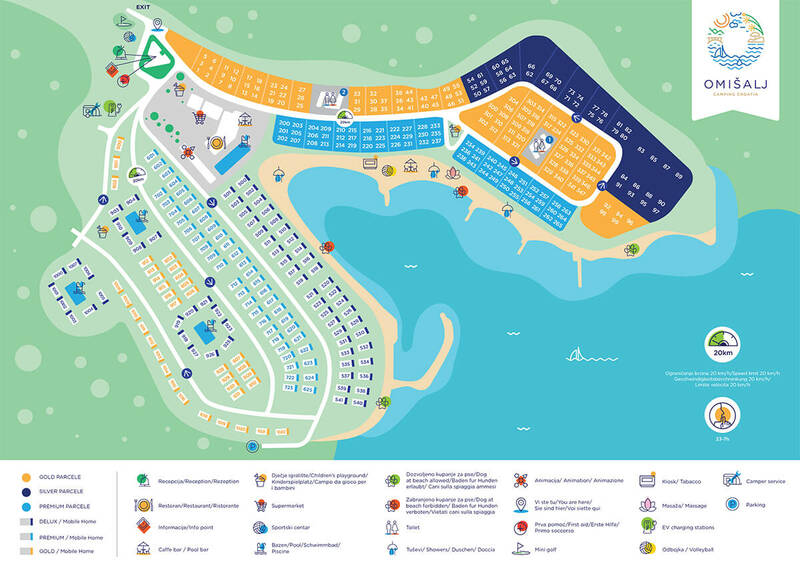 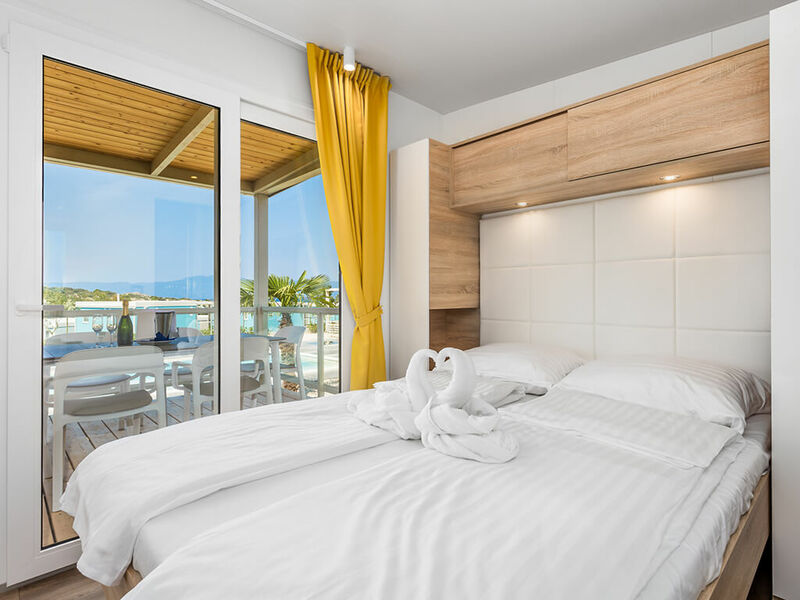 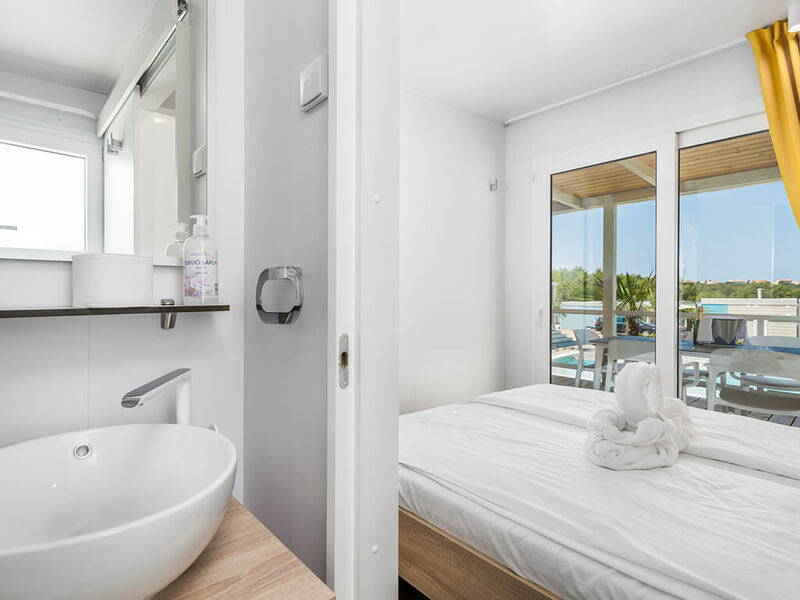 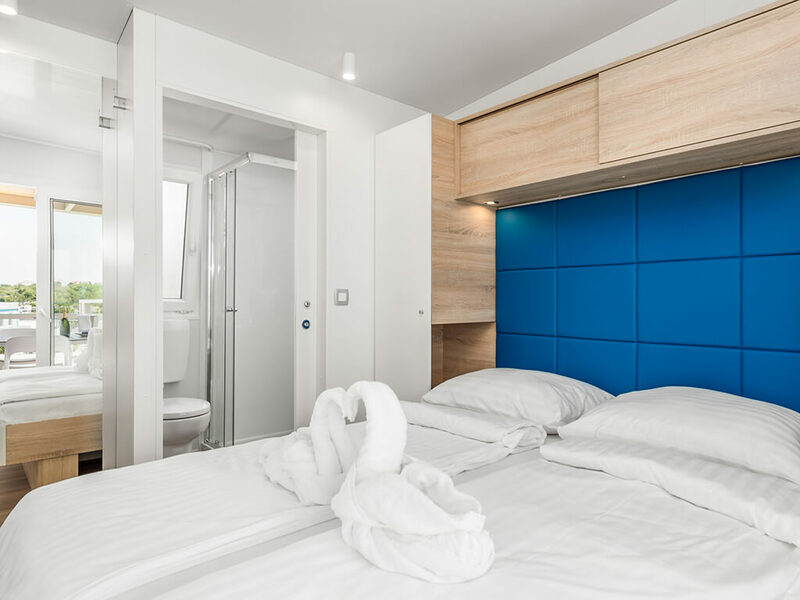 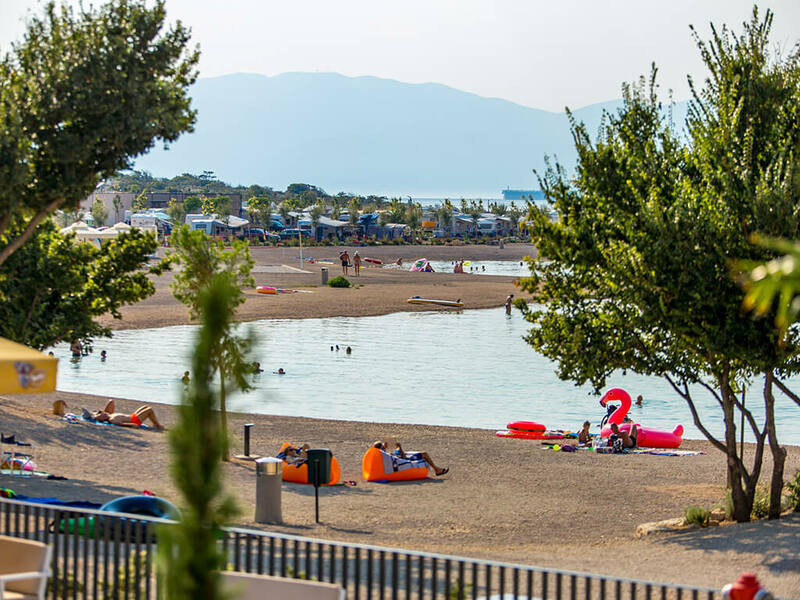 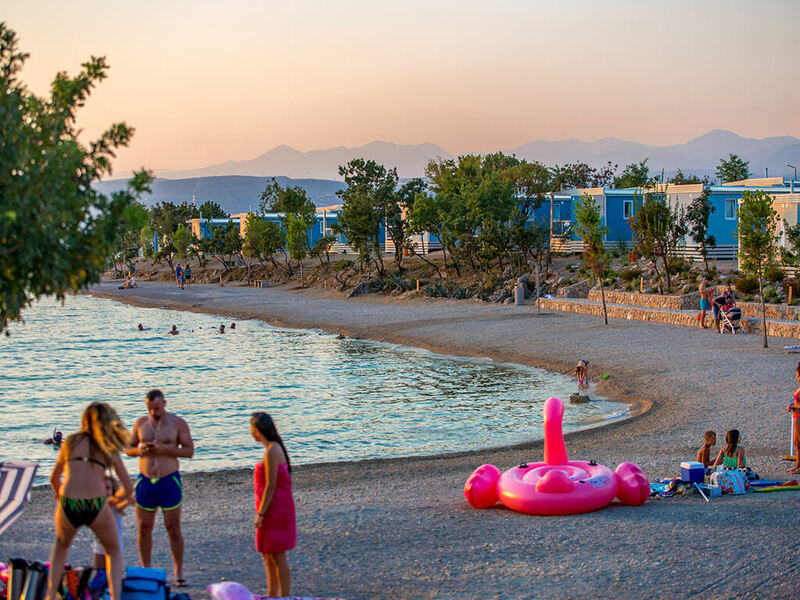 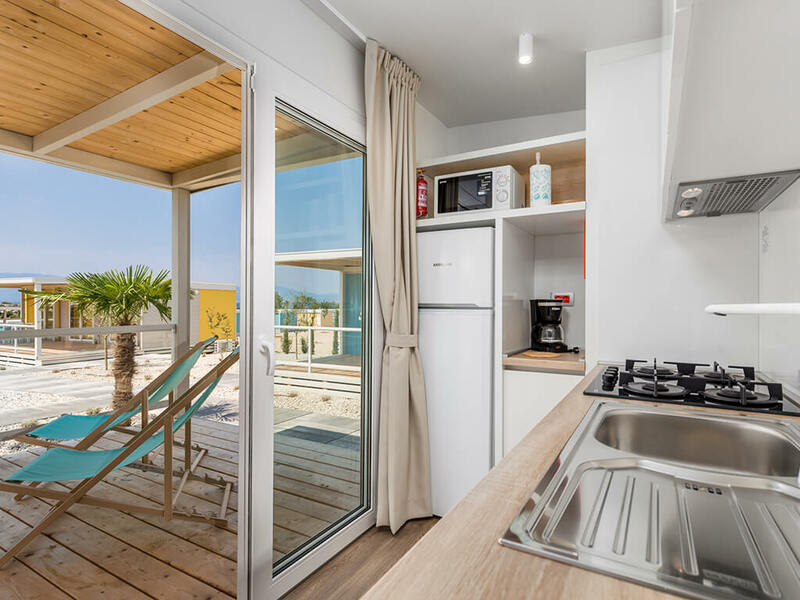 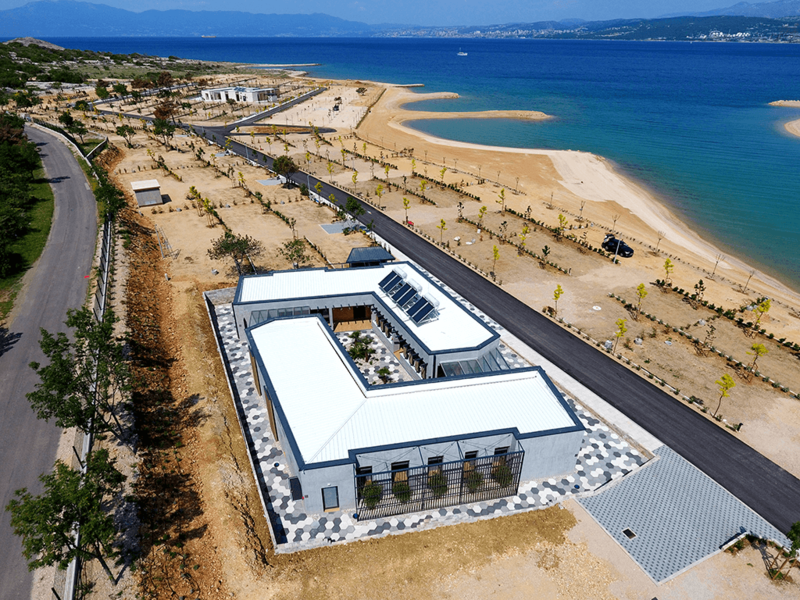 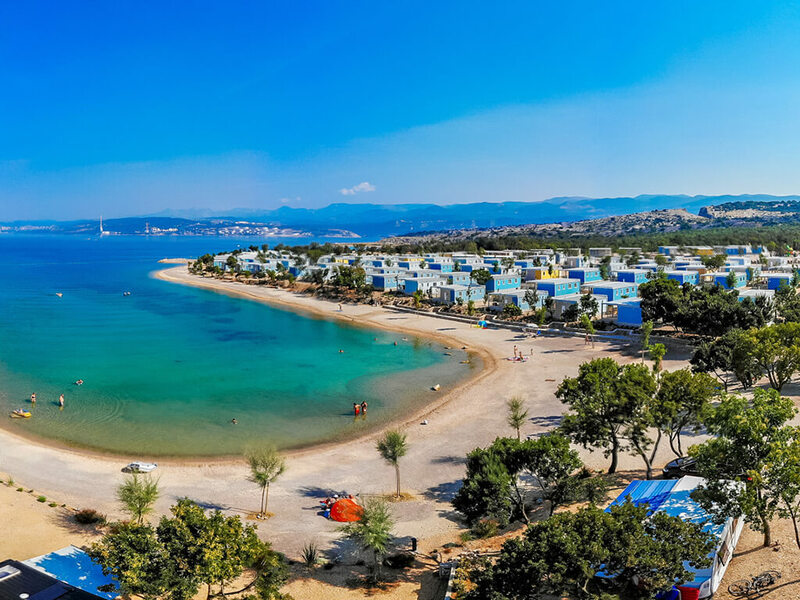 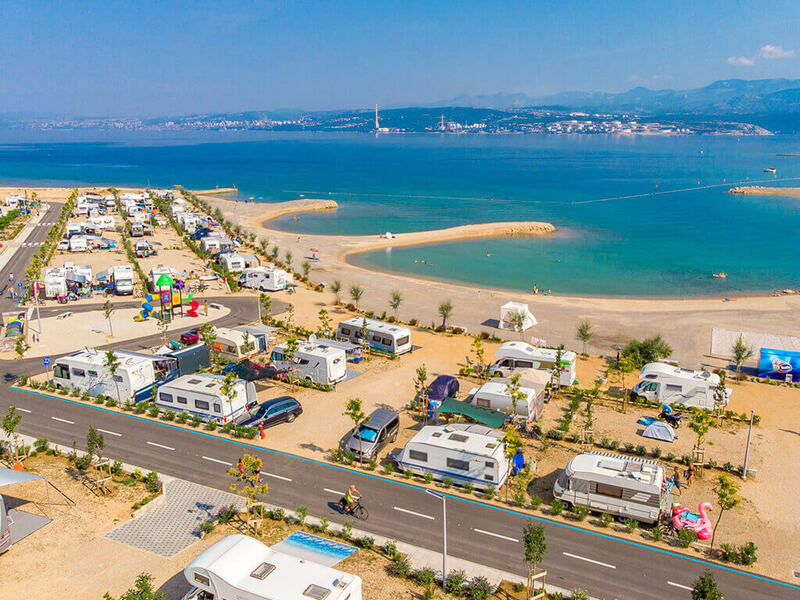 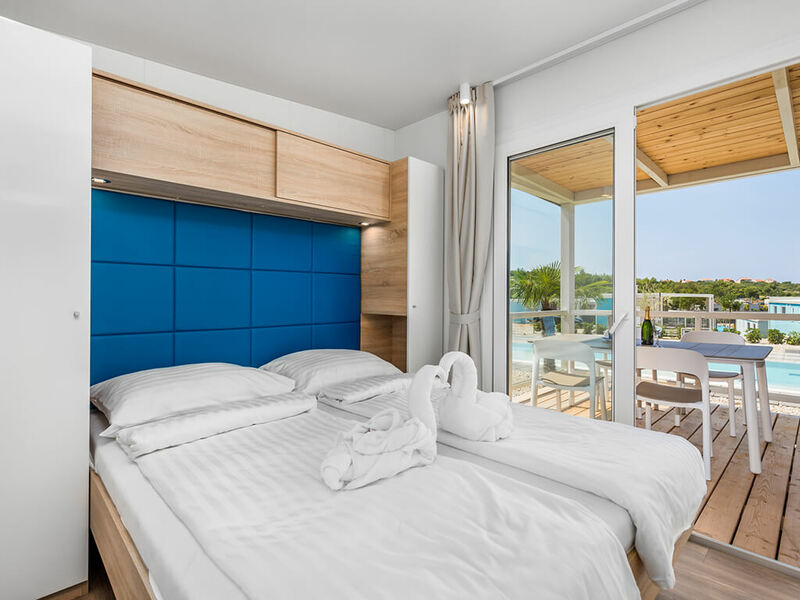 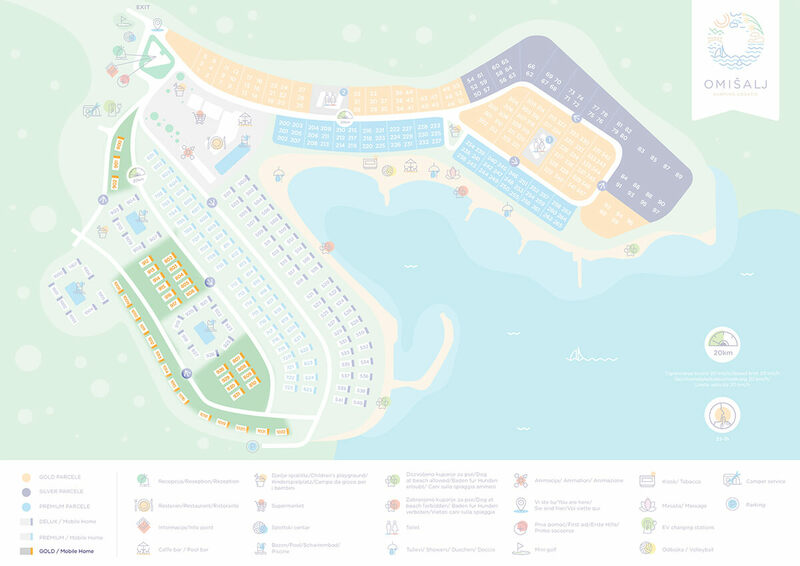 While enjoying all the benefits of a camping holiday, you do not have to give up the modern living benefits, as all Campsite Omišalj’s 180 pitches dispose with Internet connections, as well as with connections to water, drainage and electricity. 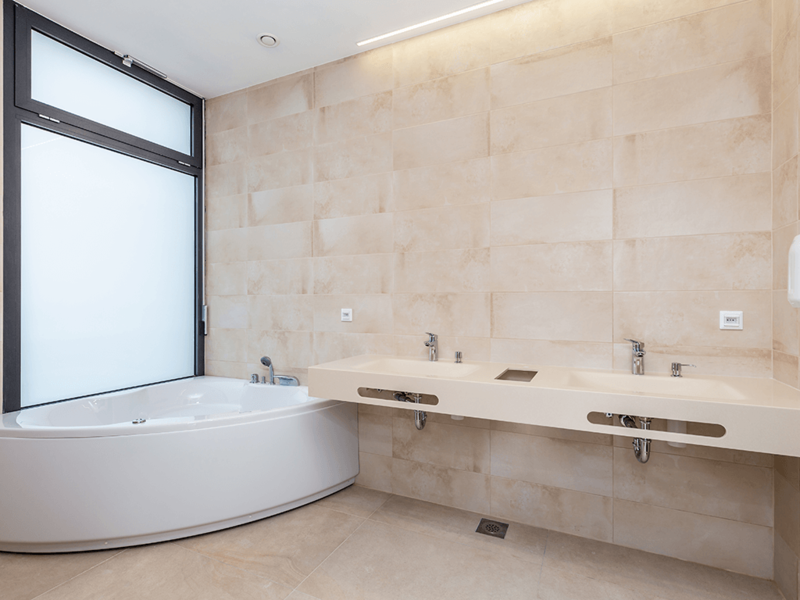 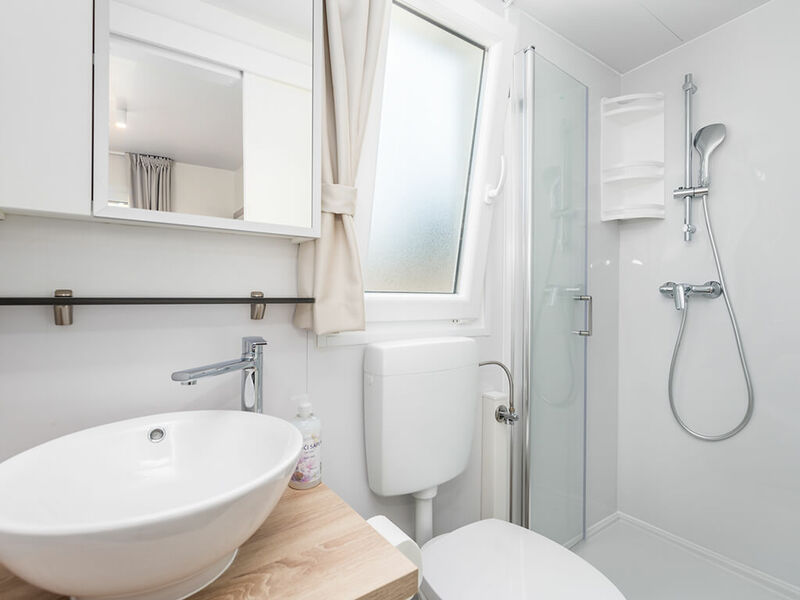 Apart from the standard equipment, the two new sanitary points also have laundry washing and drying machines, baby changing and pet washing areas. 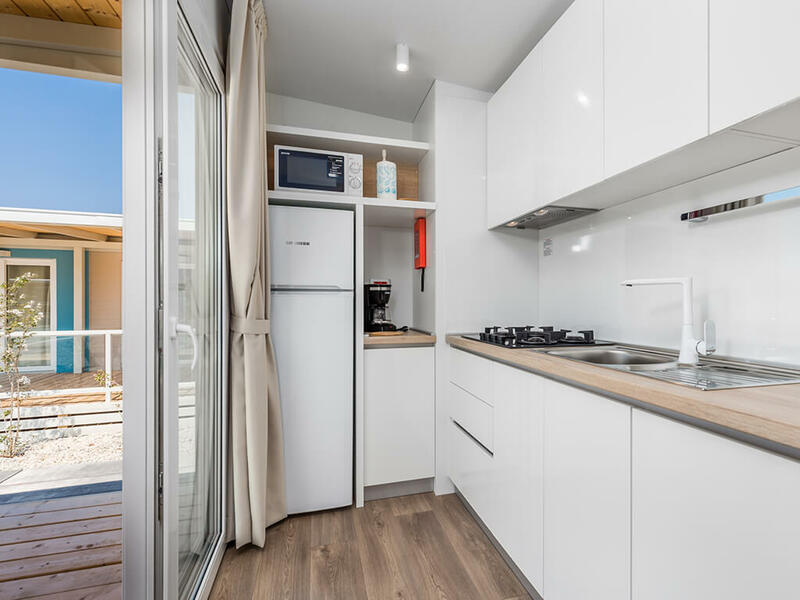 Mobile homes Deluxe and Premium are brand new in 2018 and fully equipped. 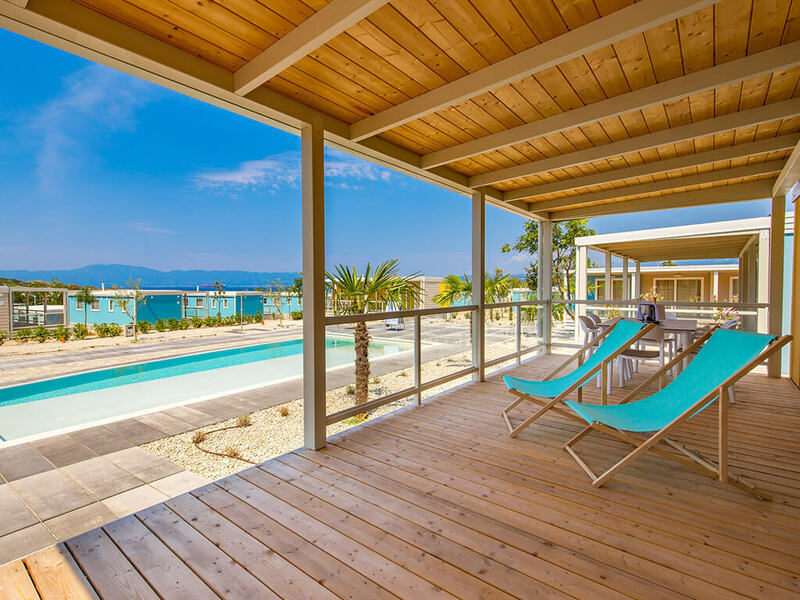 They feature 2 bedrooms, 2 bathrooms and a spacious covered terrace, from where a view spreads of the sea and the beauty of the island of Krk. 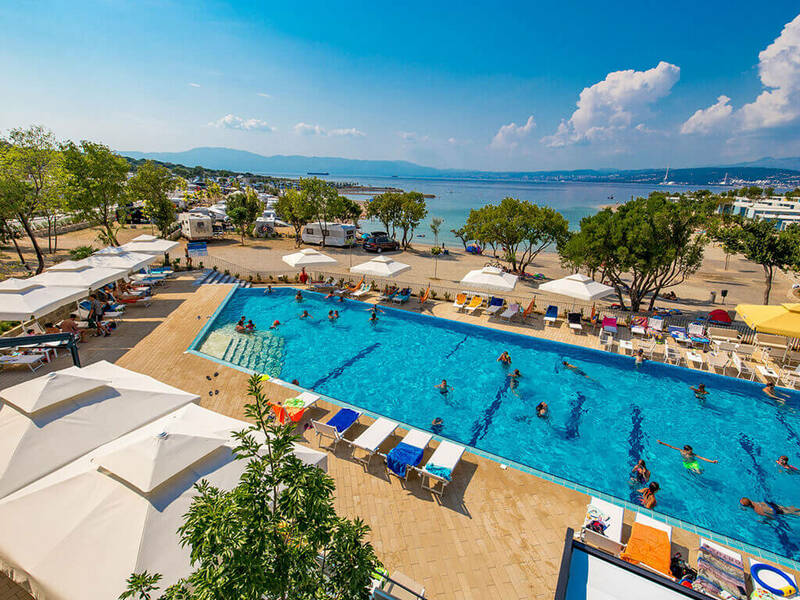 They are situated in the close vicinity of the campsite swimming pool, or at a mere 50 metres away from the sea. 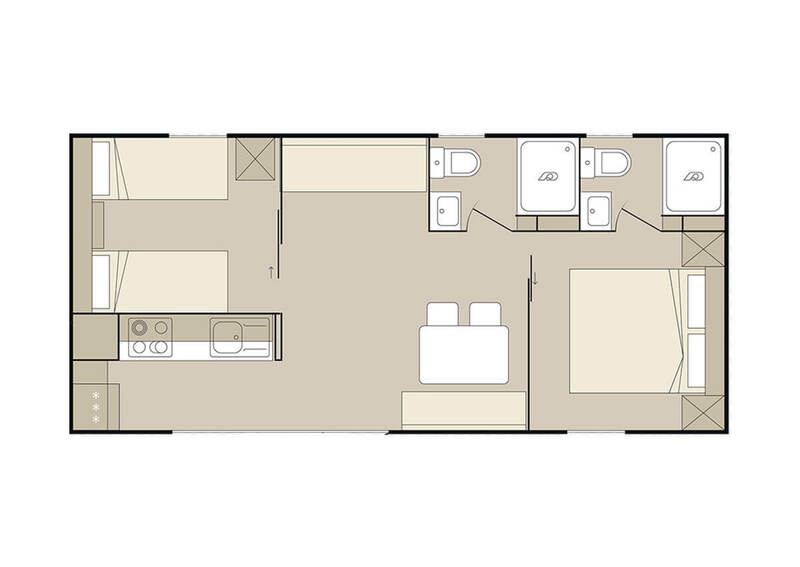 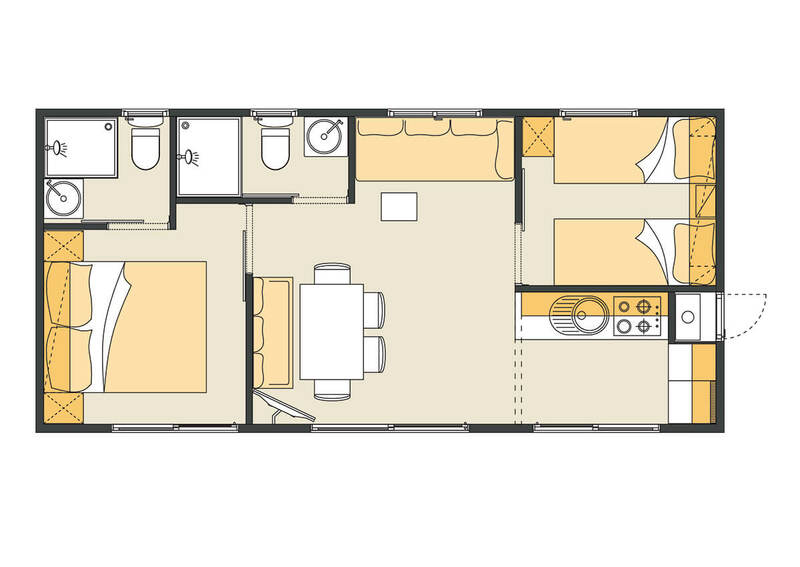 Your pets are welcome in mobile homes Gold, fully fitted with modern equipment. 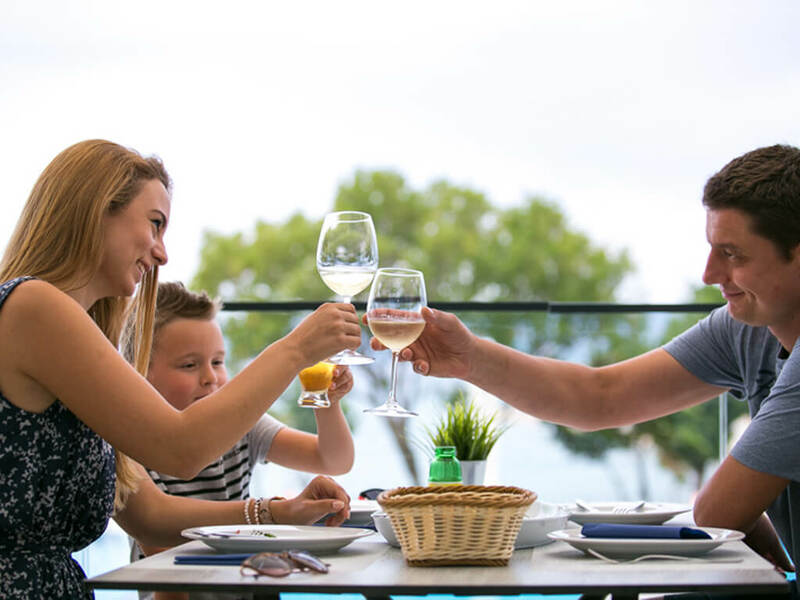 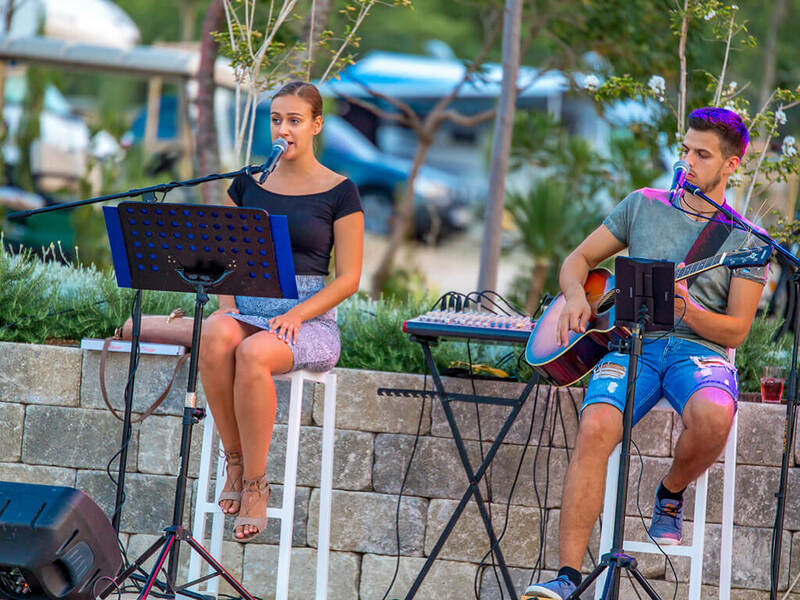 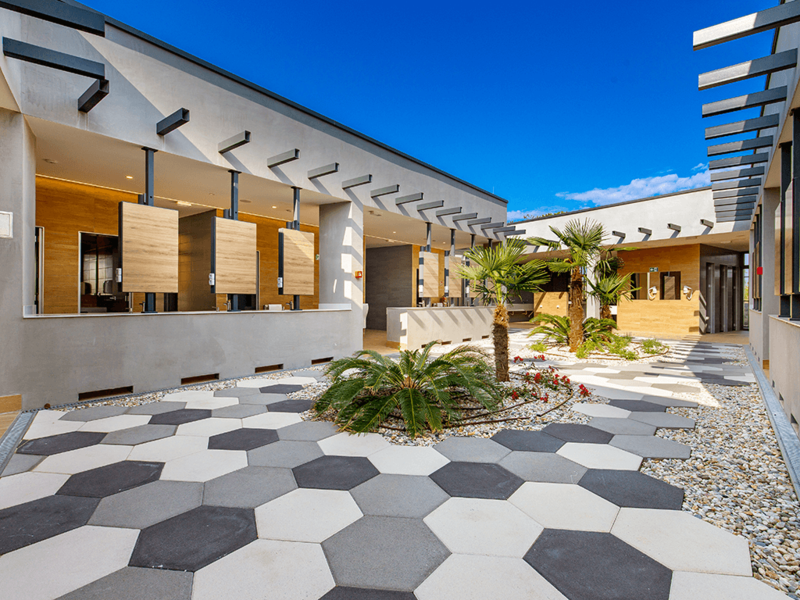 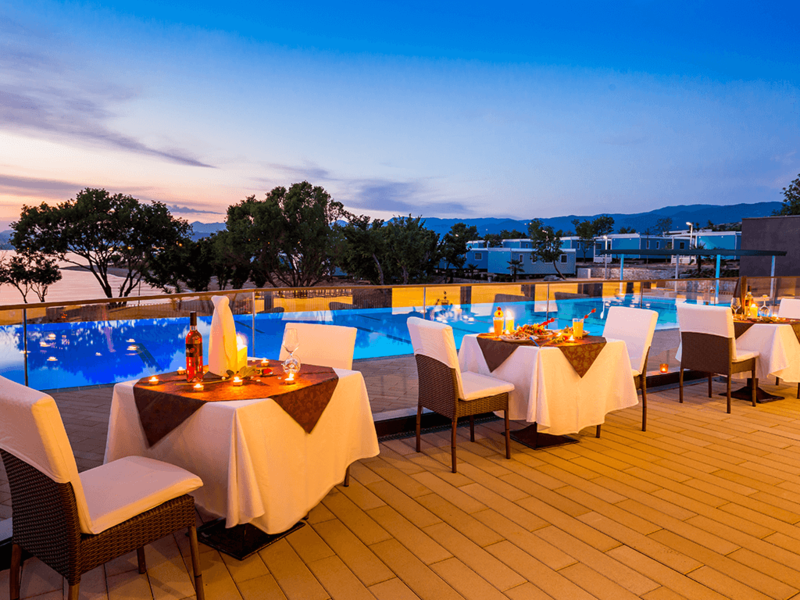 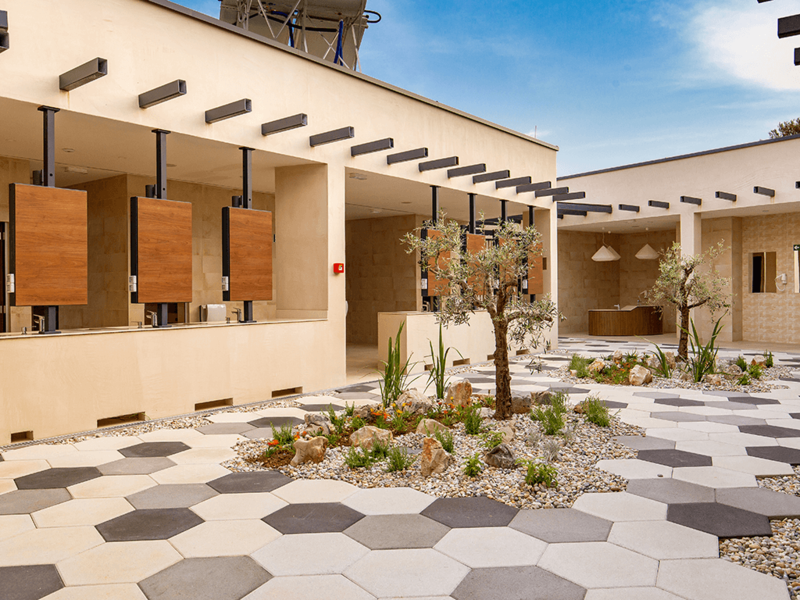 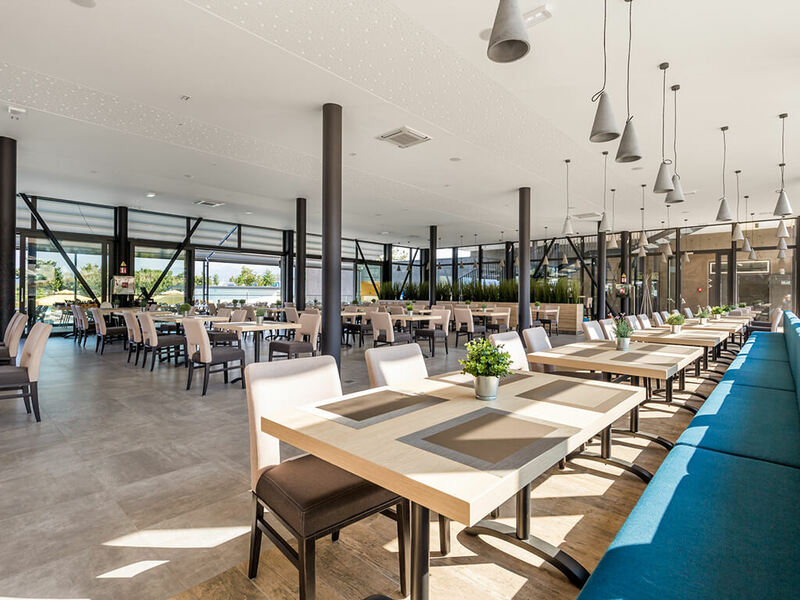 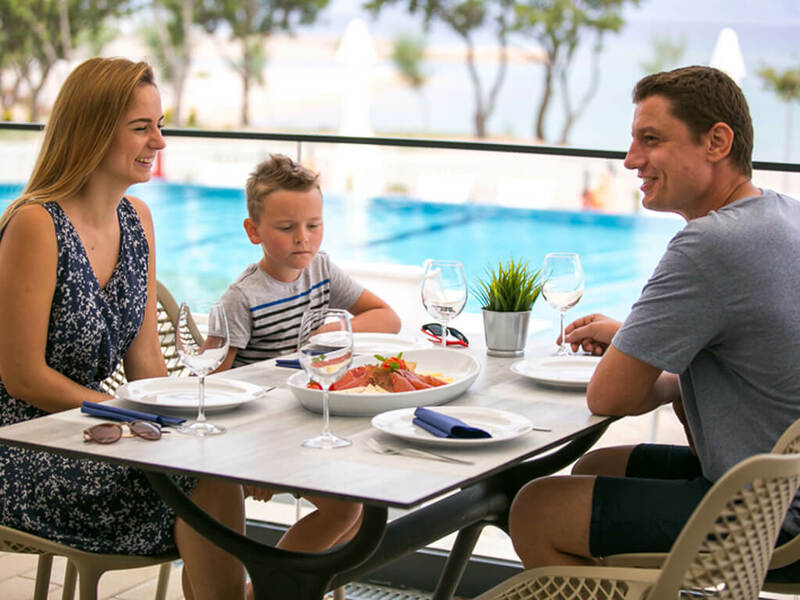 Enjoy the tastes of the campsite restaurant’s Mediterranean cuisine, relax with a refreshing drink at the bar or sweeten your buds at the Campsite Omišalj patisserie. 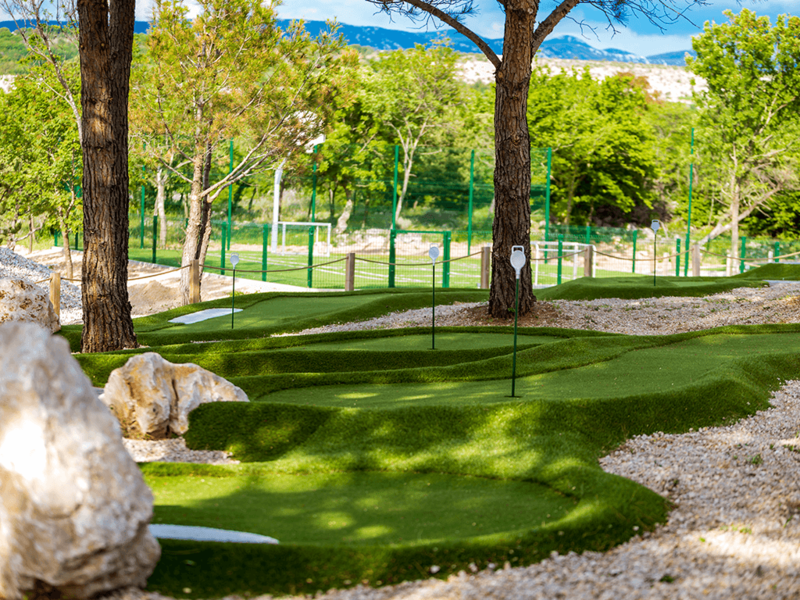 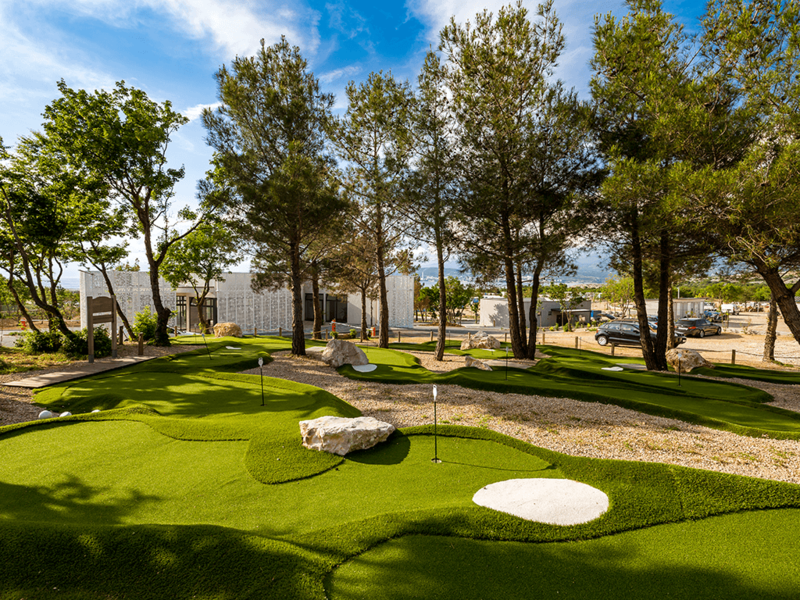 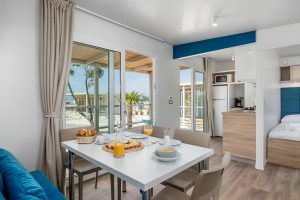 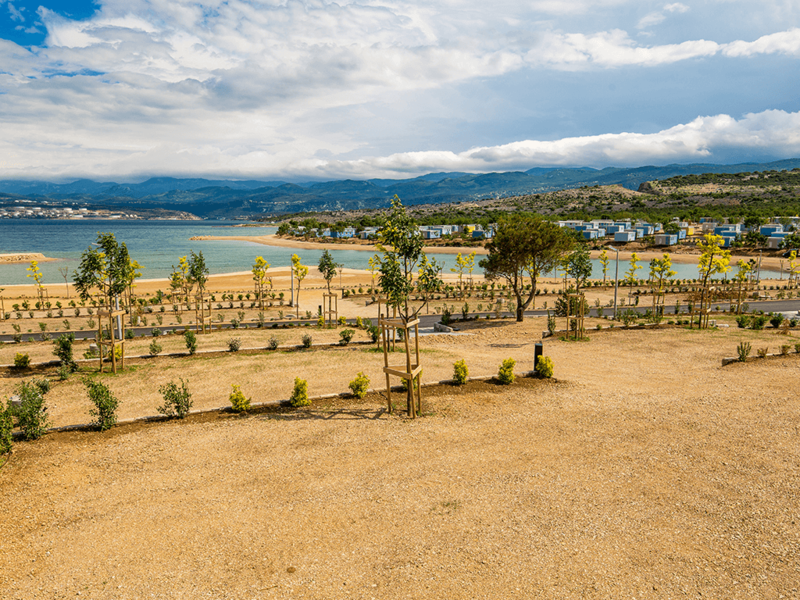 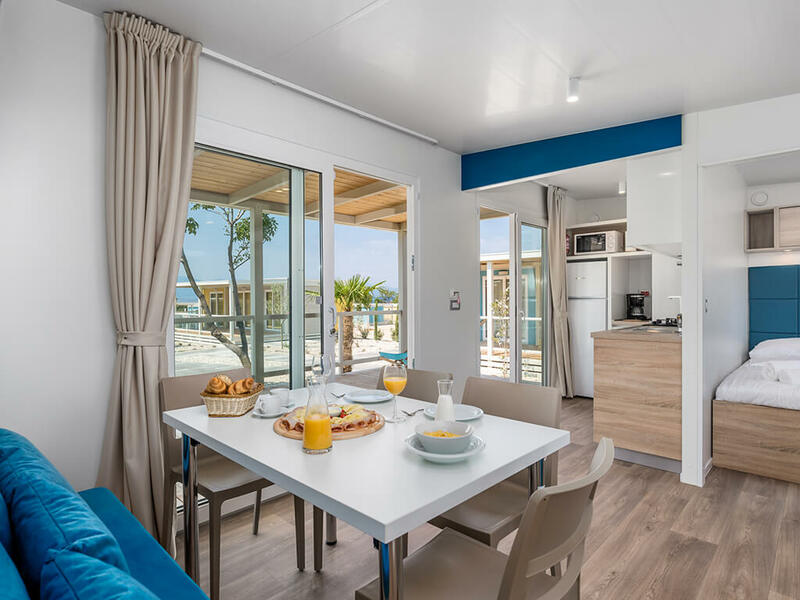 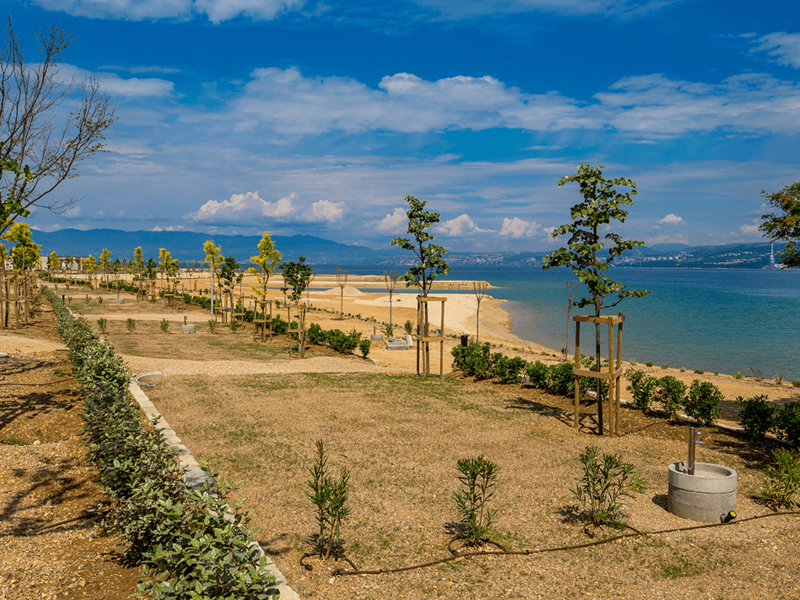 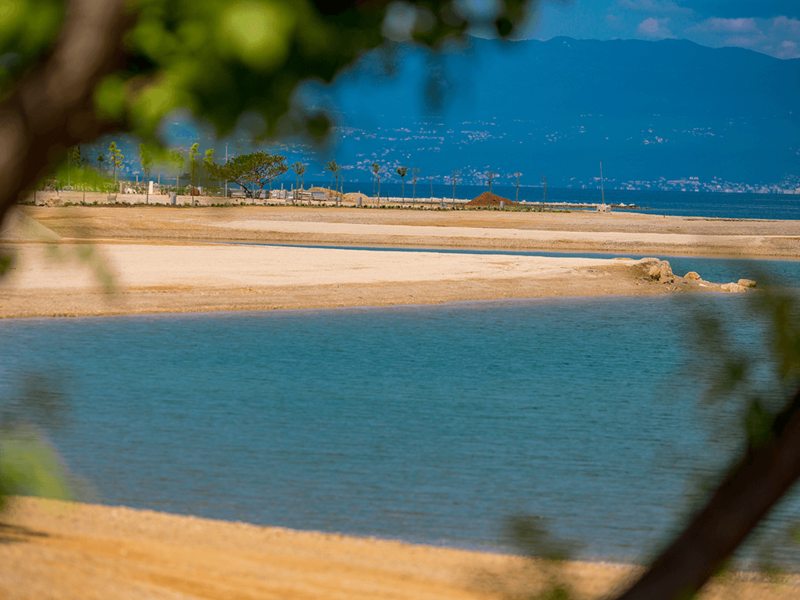 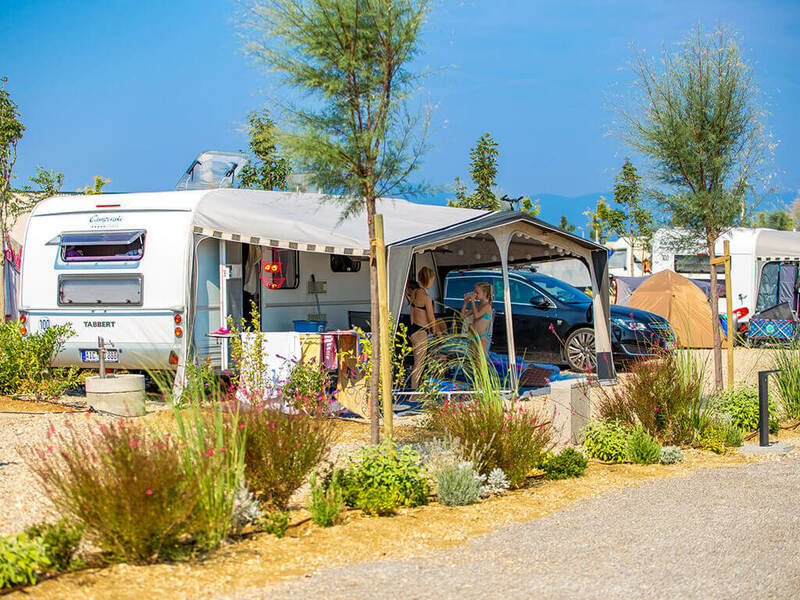 A brand new sandy and pebble beach, which spreads along the entire campsite length, will provide you with an exceptional experience of nature. 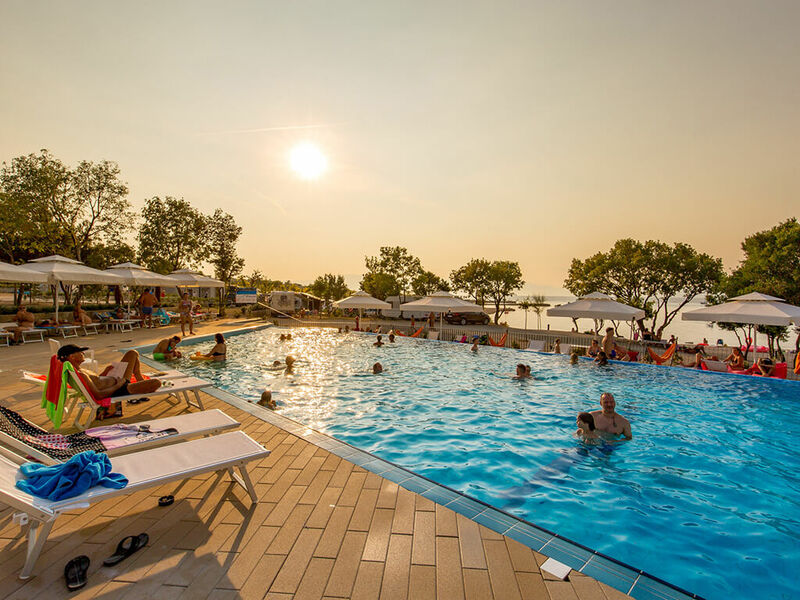 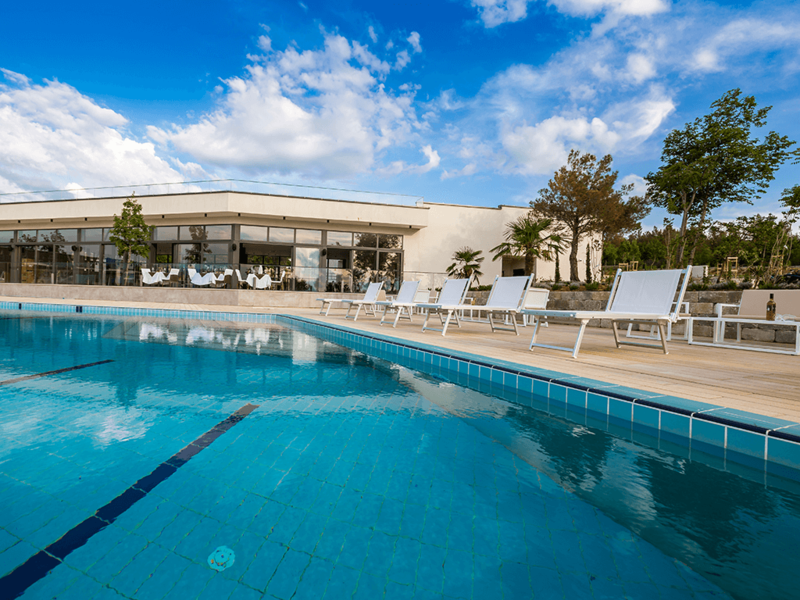 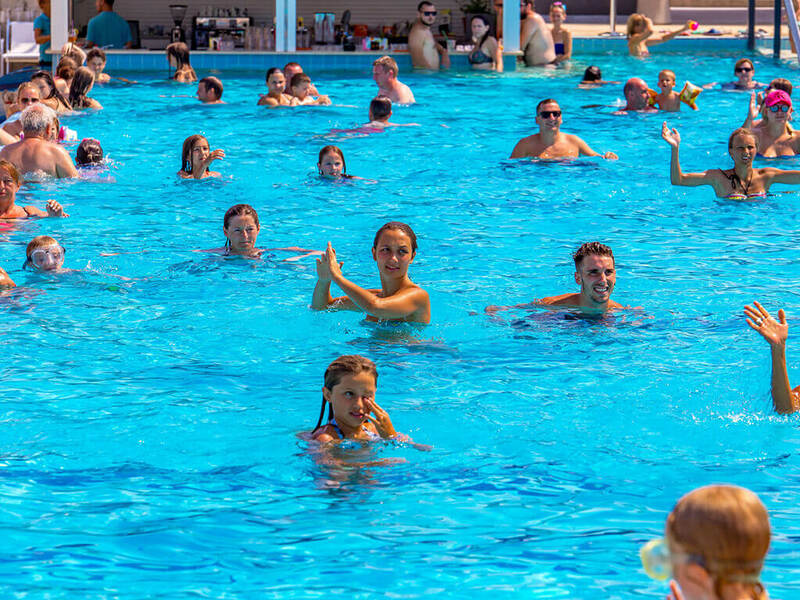 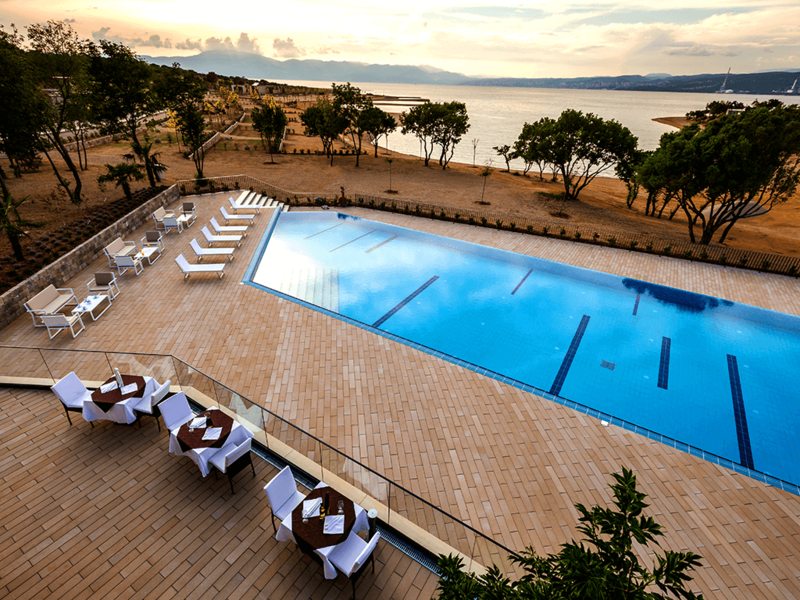 Apart from in the azure blue sea, during hot summer days you can find refreshment also in the campsite swimming pool. 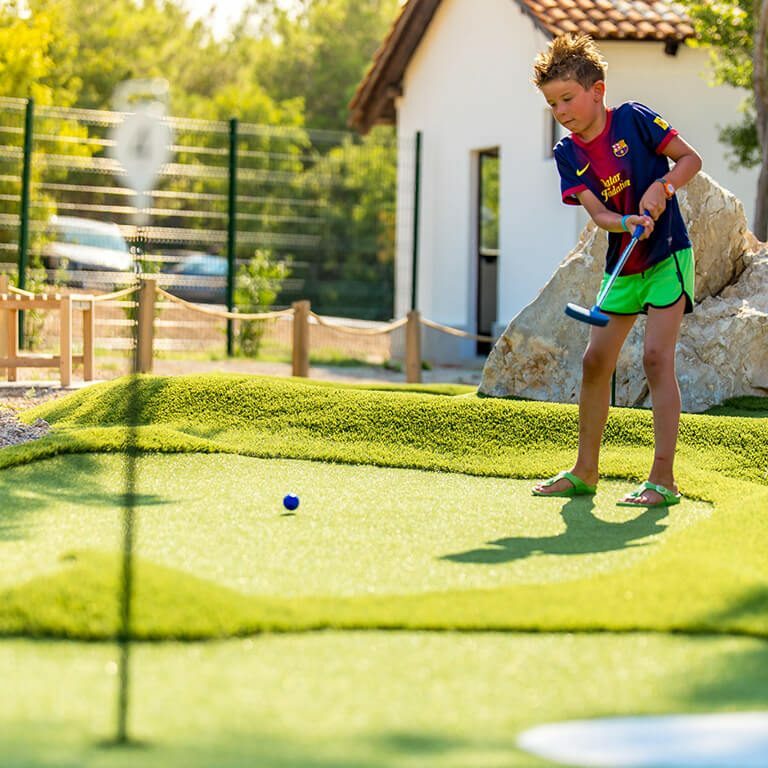 Have fun with numerous sports activities, playing basketball, football, badminton or mini golf. 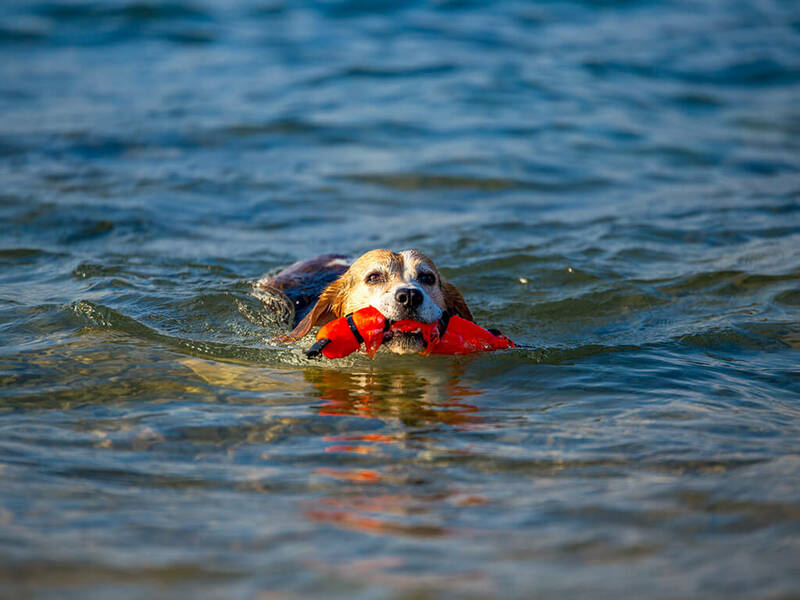 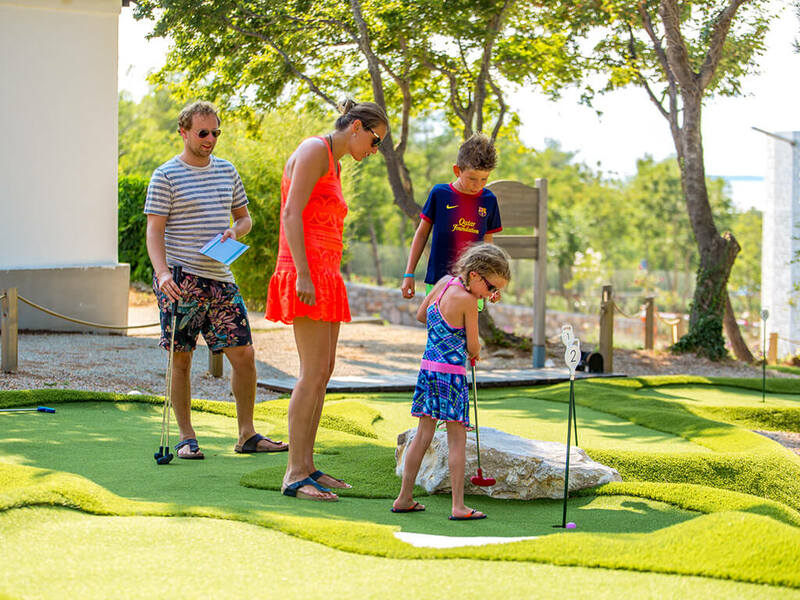 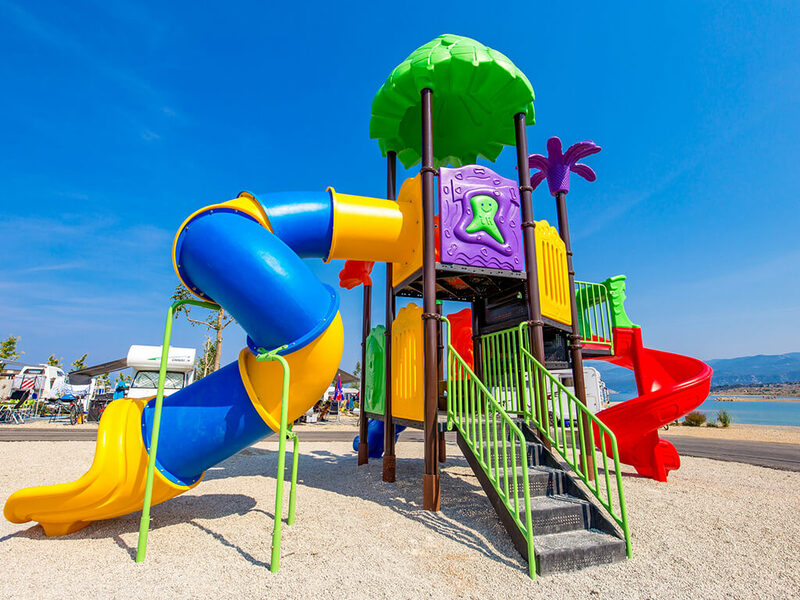 For your young ones, there is also a children’s playground and your pets can enjoy free walks in an area specially designated for dog walking. 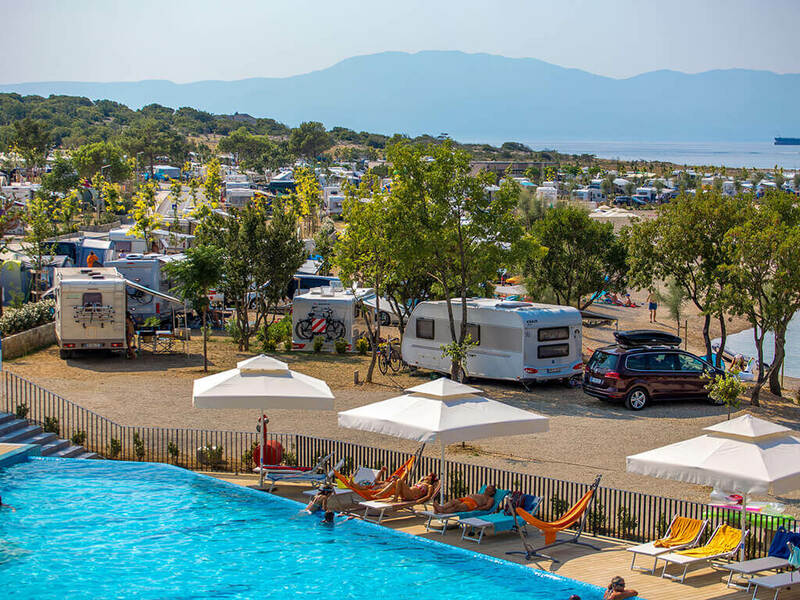 Campsite Lopari is an ideal place for holidays in tents, camper vans, caravans or mobile homes. 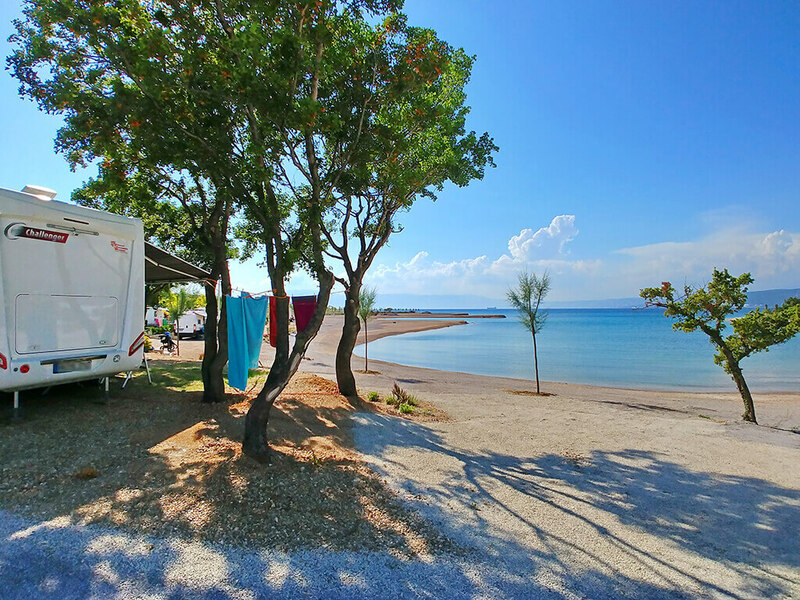 If you want the serenity of the Mediterranean greenery, a crystal-clear sea and a white beach - choose Campsite Pila.